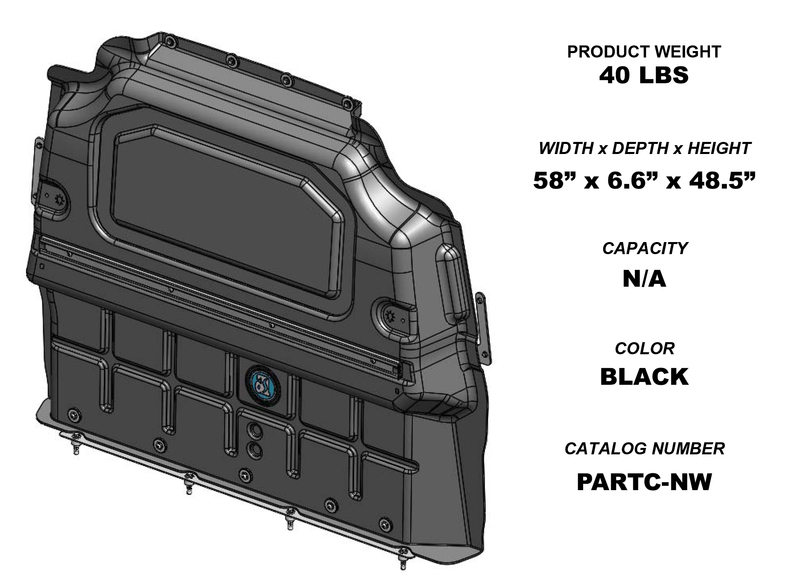 Adrian Steel has the van upfit products you need to make your Ford Transit Connect efficient and organized. Our flexible interiors maximize the space inside your Ford Transit Connect, whether you have a regular or extended wheelbase. 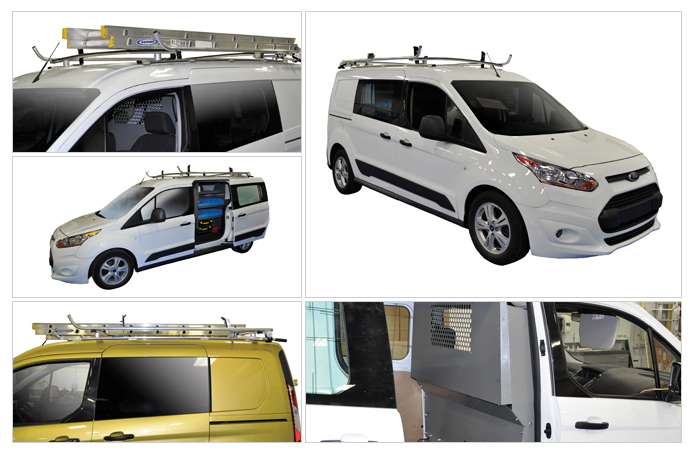 Create the work space you need with our shelving, ladder racks, and more designed specifically for the Transit Connect! 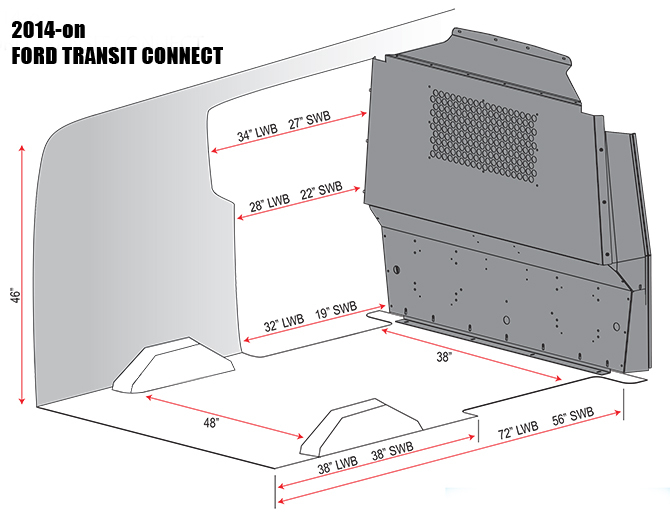 Choose the ALL-NEW composite partition for a tighter seal that allows better climate control, quieter driving cabin and more room for seat adjustments or install the classic all steel partition!